In the twenty-year history of the British Independent Film Awards, no film has won as many of them as Yorgos Lanthimos’s The Favourite. Having scored thirteen nominations, the ribald comedy set in the court of Queen Anne came away with ten wins on Sunday night, including best film, director, screenplay (Deborah Davis and Tony McNamara), actress (Olivia Colman), supporting actress (Rachel Weisz), and cinematography (Robbie Ryan). 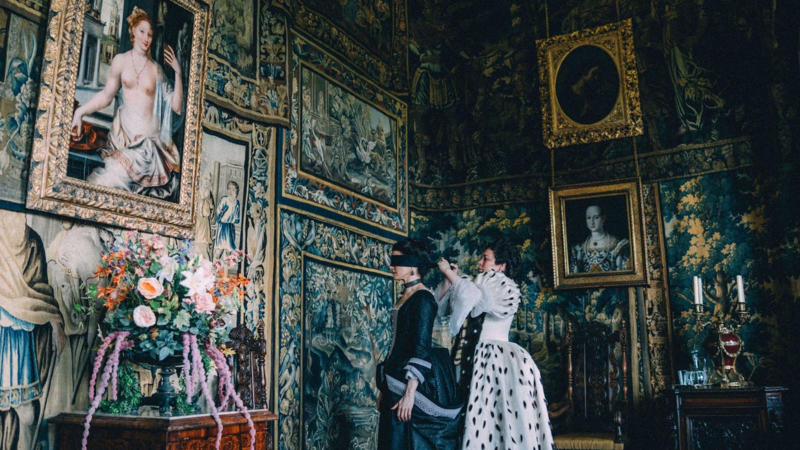 The film saw a limited release in the States on Friday, and as Brooks Barnes reports for the New York Times, while other awards contenders have struggled, The Favourite has had a strong opening weekend. Also for the NYT, Lanthimos talks us through a “dangerous” but “also quite funny” scene, a tête-à-tête (with pistols) in which Abigail, the servant played by Emma Stone, and Weisz’s Lady Sarah lay down the rules of their tentative alliance. Richard Billingham’s Ray & Liz, Bart Layton’s American Animals, and Lynne Ramsay’s You Were Never Really Here have won two BIFAs each, Jessie Buckley was named most promising newcomer for her performance in Michael Pearce’s Beast, and Orlando von Einsiedel’s Evelyn, a film about how his family has coped with the loss of his brother, has won best documentary. Best actor goes to Joe Cole for his portrayal of an English boxer in a Thai prison in A Prayer Before Dawn, and Alessandro Nivola wins best supporting actor for his turn in Sebastián Lelio’s Disobedience. The Richard Harris Award for outstanding contribution by an actor to British film was presented to Judi Dench, and Horace Ové, a pioneer of black British cinema, was honored with a special jury prize. And best international film? Alfonso Cuarón’s Roma, naturally. As it happens, the Believer has just posted Gina Telaroli’s interview with Waters, a conversation that focuses less on his movies than on his art and photography—which, of course, draws considerably on his love of other people’s movies. Wicked Glinda, for example, captures a dissolve in The Wizard of Oz—the film, by the way, that researchers in Italy have mathematically determined to be the most influential movie ever—between Glinda the good witch and the Wicked Witch of the West played by Margaret Hamilton. “She was my childhood idol,” Waters tells Telaroli. “She sent me a picture signed by her that says ‘WWW,’ like, monogrammed.” The exhibition John Waters: Indecent Exposure is on view at the Baltimore Museum of Art through January 6. Artforum has also made available to nonsubscribers the very tip tops of lists from 4Columns film editor Melissa Anderson (#1: Lucrecia Martel’s “bewildering, enthralling” Zama), Light Industry cofounder Ed Halter (Anjalika Sagar and Kodwo Eshun’s O Horizon, “a waking dream of alternative modernism”), critics J. Hoberman (Errol Morris’s Wormwood, an “examination of obsession as well as a chilling Cold War mystery”) and Amy Taubin (Jean-Luc Godard’s “scorched-earth” The Image Book), and TIFF Cinematheque programer James Quandt (Wang Bing’s Dead Souls, “a heroic act of historical witness”).